The news came so suddenly, in an email from Patrick James, President of ICCS (the International Council of Canadian Studies). This government has axed the Understanding Canada program (funded through DFAIT, the Department of Foreign Affairs and International Trade) The program funded ICCS and many other international exchange programs. I have been thinking a lot about this government’s latest attack on the dissemination of knowledge about Canada. What is it that Stephen Harper doesn’t want people to know about us? He certainly doesn’t want academics going abroad to talk critically about, say, outstanding First Nations land claims, or the cuts to Arts funding generally, or the hollowing out of the CBC, or the massive attack on Library and Archives Canada….and I could go on. And although news leaks out anyway, I guess this government also doesn’t want foreign academics to come to Canada to talk to us. Even though they SPEND MONEY when they are here. The cancellation of the Understanding Canada program has caused dismay and anger in my scholarly community. That’s hardly surprising as so many friends, students, and colleagues have benefited from it. I can hardly keep track of how many meetings, events, and contacts have been directly supported by the ICCS in my own life, going all the way back to my years in the PhD program at the University of Alberta, where I met a visiting student with a graduate scholarship funded by the ICCS. That student (who quickly became a tenured professor) and I have kept in touch over the years and our research collaborations are a positive outcome. More recently, my Croatian colleague was able to come to Canada for a month to do research and develop a course on Canadian literature. That visit was funded through an ICCS faculty enrichment grant. I have attended conferences and seminars in Germany, Austria, Slovenia, Croatia and Spain all supported by funding from the ICCS. These international meetings and collaborations have been unfailingly enriching both for me and for others. 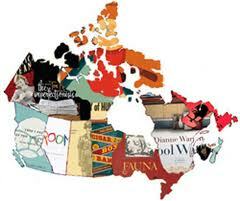 I used to be proud to be a Canadian literature professor overseas. I used to be proud of Canada. That pride is eroding. Apparently the DFAIT is really a department that is all about “trade” and not about other areas of foreign affairs. It it isn’t about business, it doesn’t matter. There’s a petition going around to urge the government to reconsider the cancellation of the Understanding Canada program. It already has over 1500 signatures on it. You can access it here. I have no idea if petitions have any impact, but it felt good to sign it anyway.